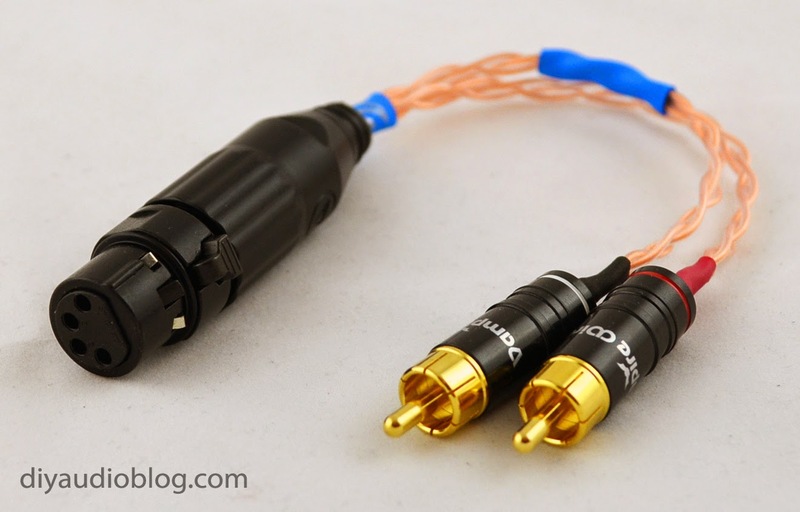 Below is a 4 pin XLR to RCA cable using a Switchcraft Triple A series XLR, Vampire RCA connectors, and Zynsonix Trebuchet Cable. This is a mini to RCA cable built for someone with exquisite tastes. It's a round braid of eight strands of Zynsonix Trebuchet wire with all ViaBlue accessories and connectors, including their smaller T6S mini connector (model 30539), their T6S RCAs (30506), and their Y-Splitter. Above the split features soft black nylon. 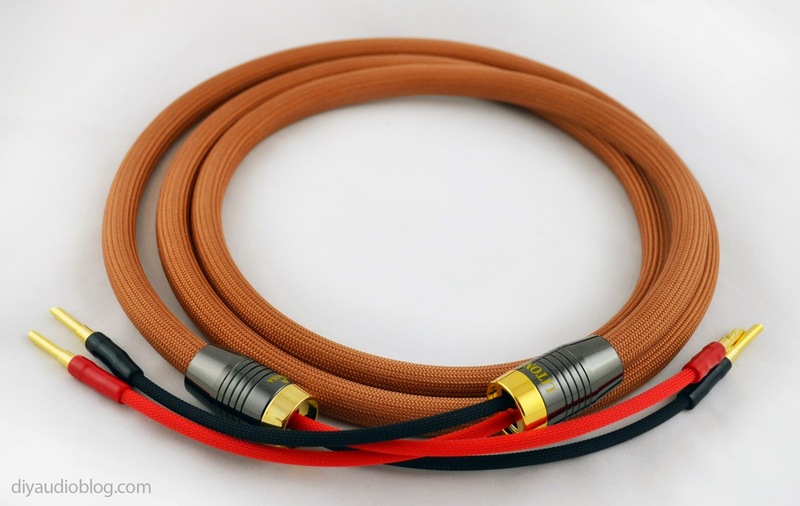 Here we have a four foot portable Trebuchet headphone cable for IEMs, these can be made for Noble, JH, 1964Ears, and previous model Westone IEMs. There is also a different plug for Shure, UE900, and the new Westone IEMs, Ultrasone Edition 5, Romeo, and Juliet, etc. 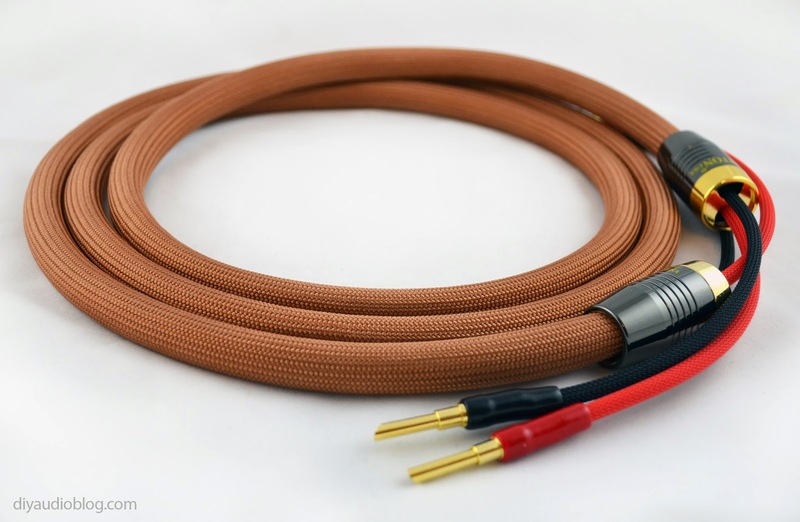 ...and below is a very special speaker cable. 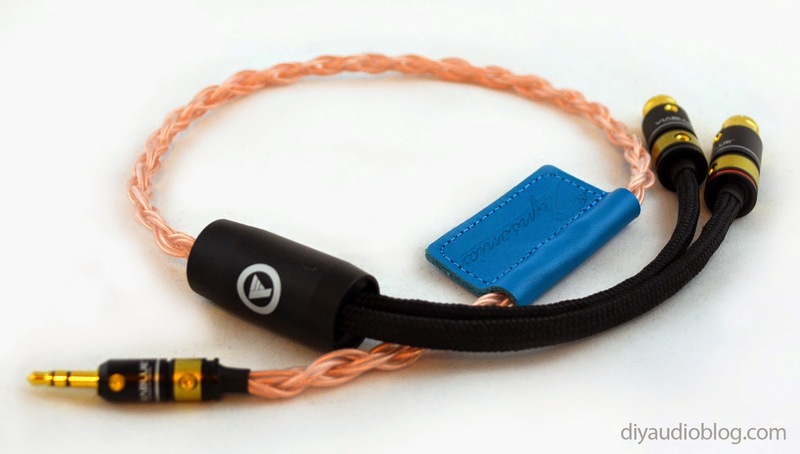 This features a braid of Neotech UP-OCC 6Ns copper in Teflon which is then wrapped with multiple layers of teflon, then set in a PV tube sleeved with copper colored nylon multifilament. Above each split is a heavy machined brass Y-splitter, and each gold plated banana is terminated with Cardas silver and gold content solder. These speaker cables made the trek over to a client in South Africa. See something you'd like for yourself? Contact Zynsonix for a quick quote.